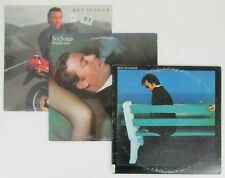 Boz Scaggs 3 LP Set. Silk Degrees Columbia PC 33920 - has original record liner, vinyl is good (has scratches, played OK), sleeve is good (ring wear and a sticker). LP - Irish Blessing "May the Road Rise Up"
Pictures have been taken so that you may zoom in and have a full idea of the condition. Boz Scaggs ‎–Down Two Then Left. A1 Still Falling For You 3:53. Columbia ‎– JC 34729. Vinyl, LP, Album,S. Pop Rock ,Soft Rock ,Jazz-Rock. B2 Then She Walked Away 4:05. A3 A Clue 3:58. This item is a first Press edition, it’s in good condition for the age, outside sleeve not looking too good, but record is very good condition. It has a mark all across surface, not a deep scratch, probably it was bought like that, I have others like that too, and they play fine. Artist: Boz Scaggs. Label: Columbia Records - KC 31384. Released: 1972. Format: Vinyl LP. •Poor (P), Fair (F) The record is cracked, badly warped, and won't play through without skipping or repeating. All records are not cleaned and not play tested, can be play tested upon request . (I am not a professional vinyl grader ). 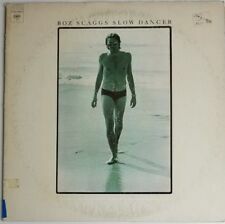 Boz Scaggs - Slow Dancer. 1974 Columbia Records. 12" Vinyl LP Record Album. Condition: Cover is in good overall condition, a fair amount of wear, see photos. 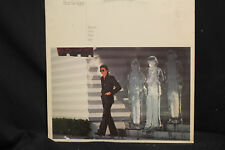 Album is in VG to Excellent condition, very well take care of. RECORD GRADING VERY GOOD ~ VISUALLY GRADED ONLY ~ NOT GRADED FOR SOUND. COLOR MAY VARY DUE TO LIGHTING, PHOTOGRAPHY OR COMPUTER SCREEN. Still falling for you. then she walked away. BOZ SCAGGS SILK DEGREES LP. 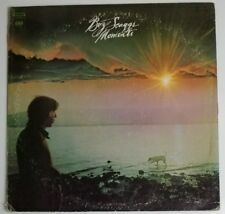 BOZ SCAGGS LP DOWN TWO THEN LEFT. SLEEVE HAS WEAR/ STAINS IN GOOD CONDITION. ORIGINAL RECORD IN EXCELLENT CONDITION. The Grades we use are. Trending at C $7.97eBay determines this price through a machine-learned model of the product's sale prices within the last 90 days. / HOWEVER the VINYL LP is in EXCELLENT CONDITION. BOZ SCAGGS. Still Falling For You 3:53. DOWN TWO THEN LEFT. Then She Walked Away 4:05. Hollywood 3:08. We're Waiting 6:21.